And then there was one. This weekend, the NASCAR Sprint Cup Series’ 2013 series comes down to a winner take all race that will decide who takes the Sprint Cup Championship. Matt Kenseth and Jimmie Johnson have been locked in a head to head battle since the start of the annual “Chase for the Championship.” But Kenseth has fallen off track in recent weeks. He trails Jimmie Johnson by almost thirty points as the series heads into its season finale at Homestead-Miami Speedway this weekend. Allen Bestwick will anchor this weekend’s broadcast. He will be joined by analysts and NASCAR veterans Dale Jarrett and Andy Petree. 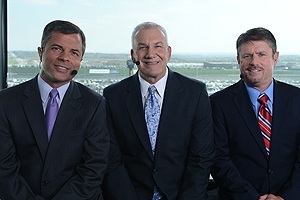 Dave Burns, Jamie Little, Dr. Jerry Punch, and Vince Welch will have all the latest in-race news live from the pits. ESPN’s NASCAR Countdown will be anchored by Mike Massaro. He will be joined by NASCAR veteran Rusty Wallace, former crew chief and Evernham Racing head Ray Evernham, as well as team owner Brad Daughtery for analysis. The Ford Econoboost 400 closes out the Sprint Cup Series’ 2013 season. It will be broadcast live this Sunday beginning with a special two-hour edition of NASCAR Countdown beginning at 1pm ET. The green flag is currently scheduled to drop at 3:15pm ET. 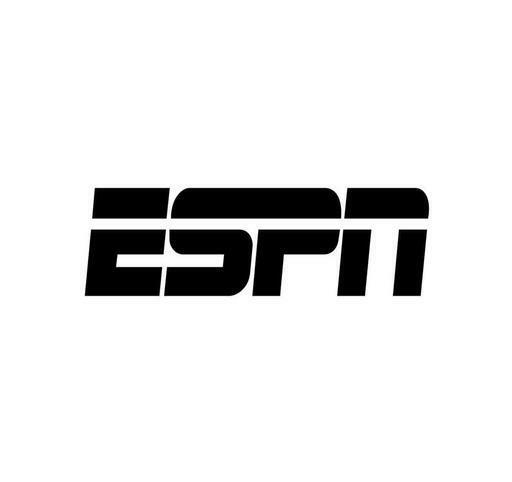 ESPN will have also air practice and qualifying live this Friday at 1:30pm and 6pm ET respectively. Along with its broadcast of the Sprint Cup Series season finale, ESPN will also have full coverage of the NASCAR Nationwide Series’ finale Saturday afternoon. Austin Dillon and Sam Hornish, Jr. will take it right down to the wire Saturday for the series’ championship in the Ford Econoboost 300. Broadcast of the race begins with NASCAR Countdown live at 4pm. The green flag is expected to drop at 4:46pm ET. ESPN will build up to this weekend’s championship battle by embedding reporters Ryan McGee and Shannon Spake with Jimmie Johnson and Matt Kenseth’s teams respectively today and tomorrow, November 12th and 13th. They will bring reports from both camps on ESPN’s flagship show, SportsCenter. NASCAR fans can also tune in to ESPNEWS this Thursday, November 14th for a special hour-long program that will come live from the NASCAR Championship Contenders news conference. That broadcast will kick off live at 12pm ET from Miami. More information on this weekend’s races is available online at http://espn.go.com/racing/nascar/. To keep up with the latest sports and entertainment news, go online to http://www.facebook.com/philspicks and “Like” it. Fans can always keep up with the latest sports and entertainment news and reviews in the Phil’s Picks blog at https://philspicks.wordpress.com.